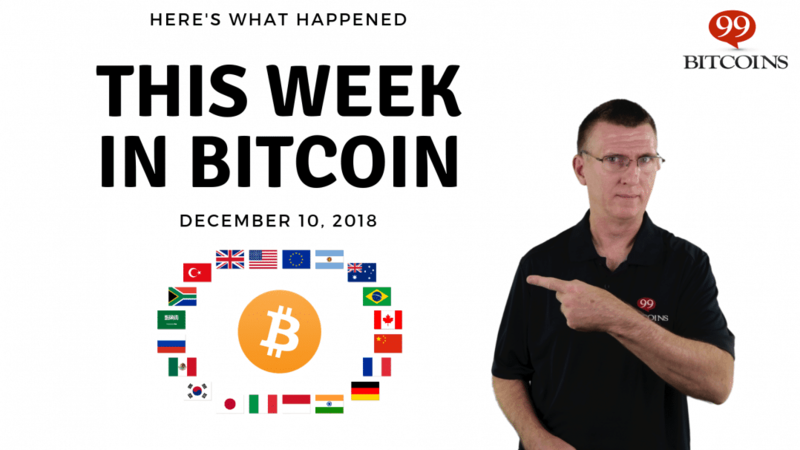 Here's what happened this week in Bitcoin in 99 seconds. Bitcoin has reached its new annual low just below $ 3,300. The Altcoin went even worse, with Ethereum falling below $ 90 and Ripple below 30 cents. The maximum limit of the crypto market is equal to $ 108 billion with the value of Bitcoin which includes 55% of this figure. The G20 member nations have agreed to further regulate cryptocurrencies to prevent money laundering and terrorist financing. The G20 nations have decided to realize the benefits of technology by mitigating its risks. Plans have also been drawn up to increase the taxation of the digital economy. After the G20, the US Treasury Department called for more global cryptography control. Bitcoin's mining difficulty saw its second biggest fall this week. The difficulty has decreased by around 15% to about 41 exahash per second. It is clear that the fall in prices is causing some miners to turn off their machines. The US SEC (Securities and Exchange Commission) again delayed the approval of a Bitcoin ETF. ETF VanEck has until the end of February to receive approval. A job site survey, Humans.net, revealed that 38% of US freelancers regularly use cryptocurrency. 1,100 freelancers were interviewed, with the highest perceived benefit of the crypto compared to its suitability for international payments. Finally, it is reported that KFC in the capital of Venezuela is set to accept Dash payments for food. A single restaurant in Caracas will be the first to accept Dash, ahead of 24 other locations across the country. This is what happened this week in Bitcoin. I'll see you next week.